For three months over summer, the footbridge at Epping station is closed whilst it’s being repaired. This means a change of what you’d normally have to do at Epping station to get to and from trains. Platform 2 is the one on the west side of the station, and there’s a footbridge over to Platform 1. With that closed, they’ve now opened up the side entrance all the time to allow people to enter or exit that way, and use the second footbridge (handy that it’s there!) that is not part of the station. Love this photo we were kindly given permission to use from a reader who recently, when on holiday to Mexico City, took several snaps of their metro system, including this one at Insurgentes station. 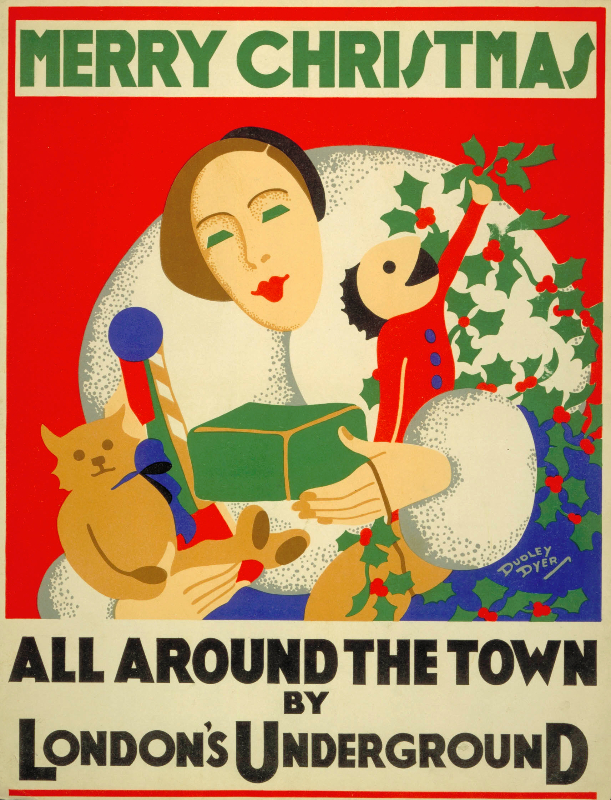 Except you’d never know it because it’s been made to look like a Tube station! 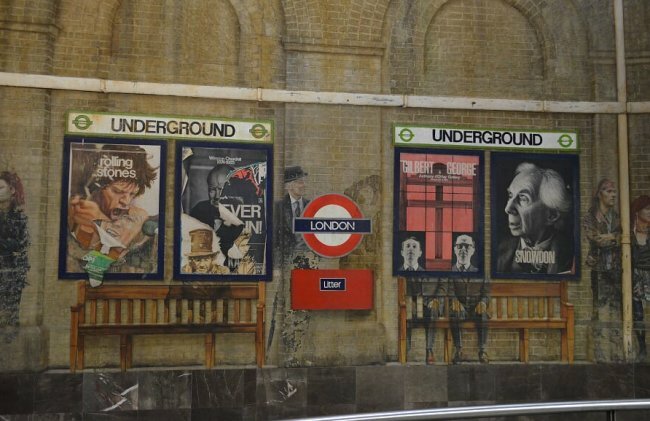 For some reason (the brickwork, we think) it really reminds us of Bayswater on the Underground. 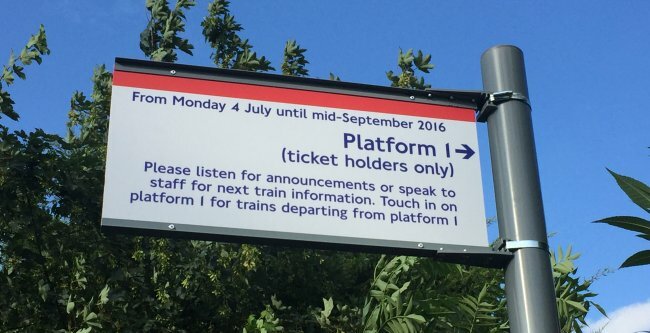 Admittedly, we haven’t got out at East Putney for a while – after all, we pass through a lot of stations around the network, but it’s only when we get out of them that we always take the time to check and look if anything has changed to that station so we can update Station Master’s information. We like to think that it’s an-always-evolving App that keeps up to date with things as they subtlety change. 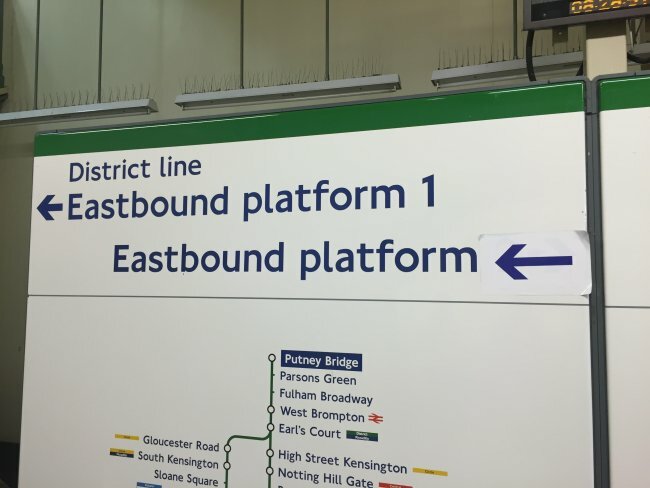 One such subtle change that we did notice here was this sticker – an arrow pointing to the left – covering up the fact that you could possibly get an eastbound train departing from platform 2 as well, that started here in the terminating platform. 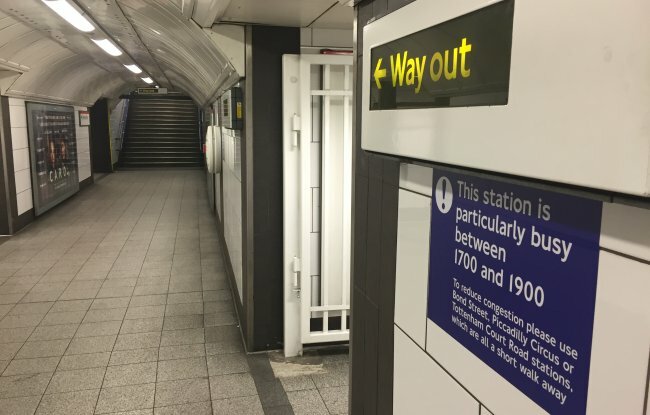 We don’t know when it changed, but it seems that those days have gone and all trains are now through trains that started at Wimbledon, and you can no longer get a train that now starts from here. 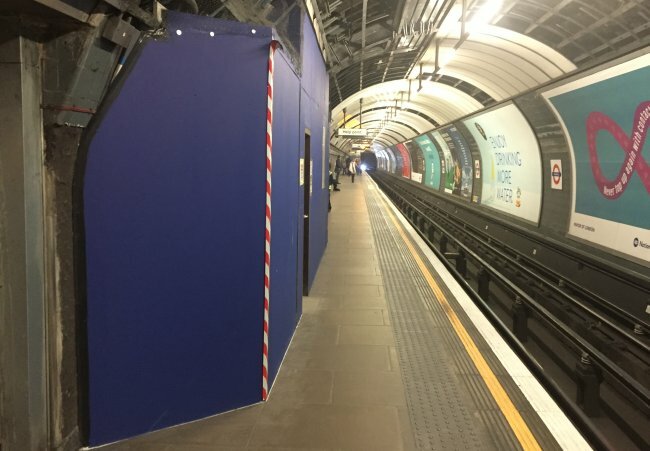 Since the new tube map came out at the beginning of the year, Vauxhall has had a ‘blue blob’ for full accessibility because of the new lift that they’re building .. but we’re now towards the end of February, and it’s STILL not open. 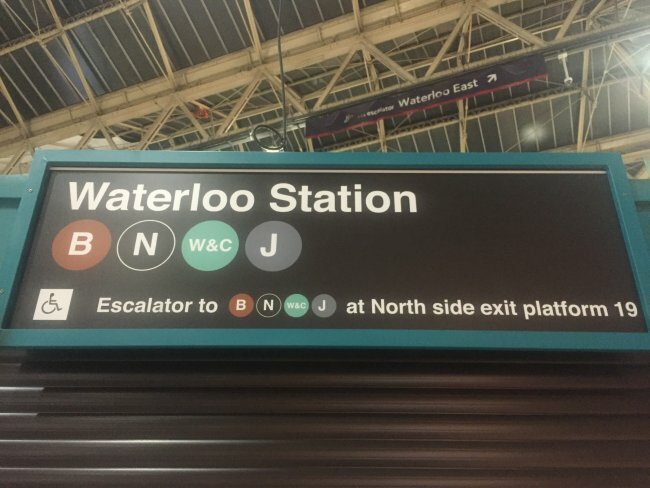 How long can a station be marked as ‘accessible’ on a map, but for it actually not to be and for that to be ok…? What the heck is an easyCoffee? 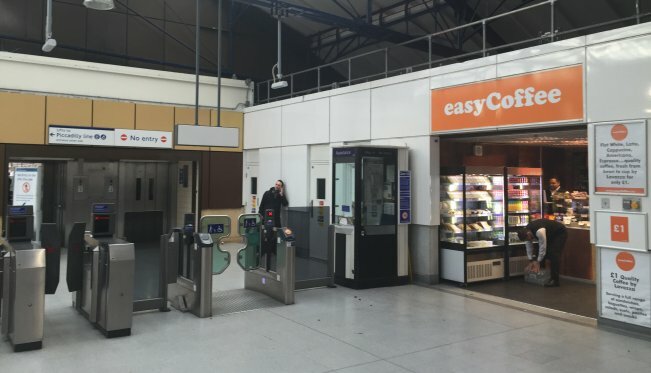 (Ok, ok, it’s a coffee shop, sure), but it’s the first time we’ve EVER seen one – not just at a tube station – but it might just be the first at a tube station now. Go to Earl’s Court to see it, read the history of Earl’s Court to see it where they’ve boarded up the old ticket office windows, and see if you can take more than one tube map without being ‘told off’ by the ridiculous woman who works there who scolds you like a school teacher for doing so. Especially at peak hours, as the sign warns you! 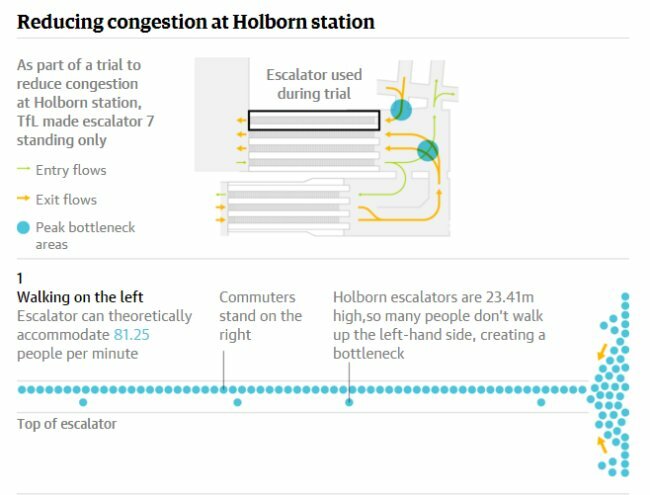 The Guardian yesterday posted a fabulously in-depth article on the experiment that took place at Holborn station about getting people to stand on the left as well as the right on one of the escalators there. When people walk up, 81 people can get up an escalator in a minute But when everyone stands on both sides then 112 people can make it! Read the full article. 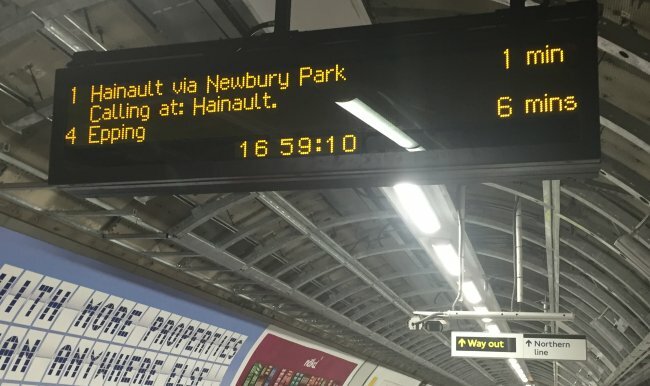 At least that’s what the new Dot Matrix Indicator boards suggest. If you’re a regular traveller on any National Rail service you’ll know that when ‘Calling at…’ appears beneath the destination, a scrolling list of stations then appears telling you the intermediate stopping points. .. and a Happy New Year.